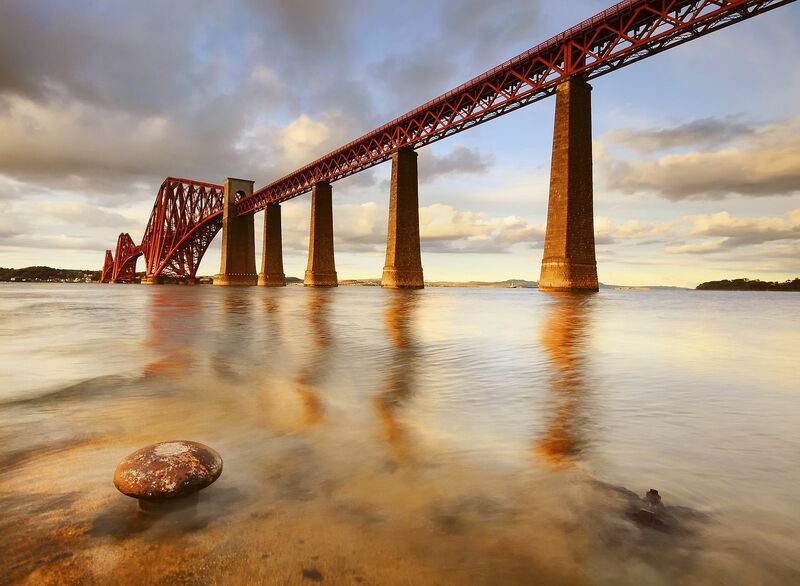 Famously, the painting of the Forth Bridge (an enormous railway bridge across the Firth of Forth in Scotland) took so long that by the time the workers finished painting this spectacularly beautiful collection of girders, steel, bricks and sweat, it needed to be started all over again. Apparently this is no longer the case and the painting has finally stopped, at least temporarily, but bear with me here as I indulge myself in a little cliched allegory. Painting the Forth Bridge - I wonder what it would be like to be one of those people given that task. Perhaps a young man, in his early twenties. Suddenly, unexpectedly, given this massive undertaking. A job for life. It must surely have been a daunting prospect. But perhaps there was something of a challenge about it too. Something to get stuck into. Something to work towards. And while the tools were, at first, unfamiliar and clumsy, he was determined to see the work done. To do it the best he could. To protect this beautiful structure. And the days turn into weeks, and the weeks turn into years. And still it goes on. It is hard work. The schedule is punishing, but it has to be done. He pushes on. The tools are more familiar now - he's actually got pretty good at this painting lark. He has picked up some tips from others who have been painting far longer than him. He can even take some of the difficult corners in his stride, the awkward spots that he could never really manage before. Occasionally a new brush or a fresh pot of paint kindles some excitement and interest. Spurs him on. Improves his technique. And then back to the graft. And some days... some days it is just beautiful. Way up there at the top of one of the arches, alongside friends and co-workers, with the wind gently cooling his face, as the sun beats down on his shoulders. The view stretching for miles and miles. The distant thrum of locomotives passing below. The faintest call of birdsong from the marshes. When he compares his work to others' he thinks, "You know, it's not that bad." He feels lucky. Yes there is work to be done. Yes he has to be careful to keep himself safe, but in comparison to some other working conditions he knows about - he could have done much worse. There are scary times too. When storms lash and winds howl. This work is no place for the faint-hearted then. But even then... even then there is something to push against. Something to overcome. A battle to be fought. Something almost heroic about it. Those are not the hardest times for him. It is the grey days he fears the most. The grey, unending, energy-sapping days. Where the fog rises up and obscures everything else. The days when his paintbrush seems to weigh even more heavily than his heart. When the neverending nature of the task overwhelms him. No matter how hard he tries, no matter what he does. He will never finish. Stroke after pointless stroke. Hour after pointless hour. And still no nearer the end. There is no end. And if he slows down, he only gets further behind. The task goes on and on. Unrelenting. Inescapable. He has an annual performance review with the HR department. They seem happy enough with his work, but can only talk about the rust and decay that constantly threaten the bridge. The rust... the rust... always the rust. He must not let up they say. He must keep up his workload. They come down pretty hard about Health and Safety too. Apparently, though he tries to be careful and is pretty diligent with his harness, hardhat and boots, he is not doing enough. He could slip at any moment and that would be it. They don't seem to understand the reality of what it's like up there. Sometimes you have to move from point 'a' to point 'b' and it's not always possible to be fully harnessed-up in between. He ventures to ask about a new piece of painting equipment. It would make his work much easier, and much safer. He has even tried it and has seen what a difference it makes. Unfortunately 'the management' will not provide it. It is too expensive, and they are not sure they believe the promises in the brochure. The HR department are sympathetic, naturally, but the decision is out of their hands. He knows, of course, that his equipment is pretty expensive already. It's not a surprise that the newest and fanciest stuff is out of reach. But his head and his heart feel differently about it. Part of him aches for what might have been. Part of him wishes he'd never even heard of this new stuff. And the grey days continue. He blunders on. Barely looking at what he is doing now. So tired. So tired of it all. Sometimes he looks at his brushes with loathing. He wants to throw them over the edge. Cast them into the broiling waters below. Just watch the bridge decay and fall. The rust... the rust... To surrender the bridge to the elements. But he can't. He WON'T stop. He pushes down the melancholy as an act of will. He knows so many people that love this old bridge. Who rely on it. Who need it. He wants it to be there for them. So he picks up his brush one more time. Such a great piece Mike. What a wonderful analogy Mike. And your piece does remind me again of RD Lawrence's advice on patient self-education and management, which you do par excellence. 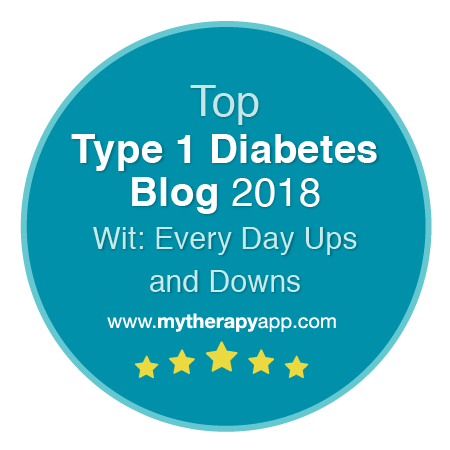 I completely emphasise with the way that you feel, having been through a similar experience when asking to change from isophane insulin to levemir after I was first diagnosed. 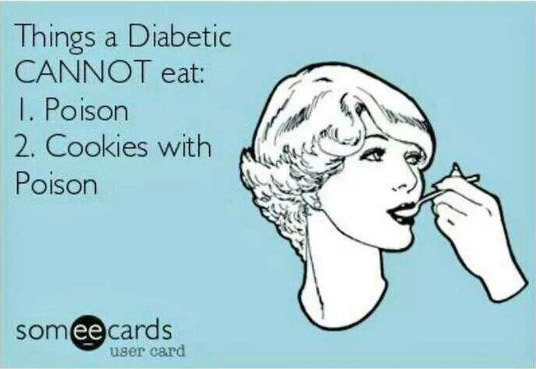 Diabetes technology is improving so rapidly at the moment - the cost of CGMs will start coming down soon with increased competition and economies of scale - at which point they will become part of the routine standard of care. A really good analogy! I've enjoyed reading this and it has given me much food for thought. 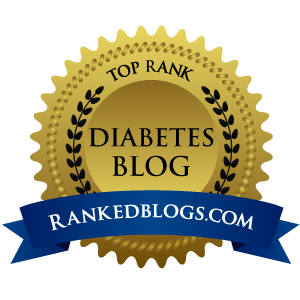 I'm a late onset type 1 (LADA?) 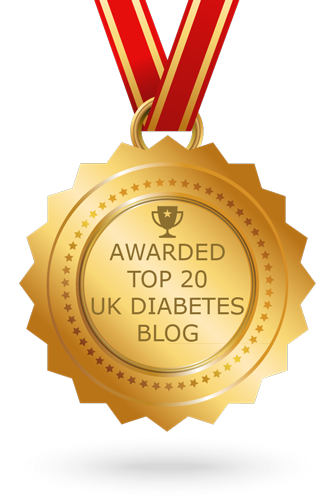 struggling with the challenge of achieving good blood sugars. I'm also challenging myself to comment more on blogs, 300 comments in 30 days. Thanks!